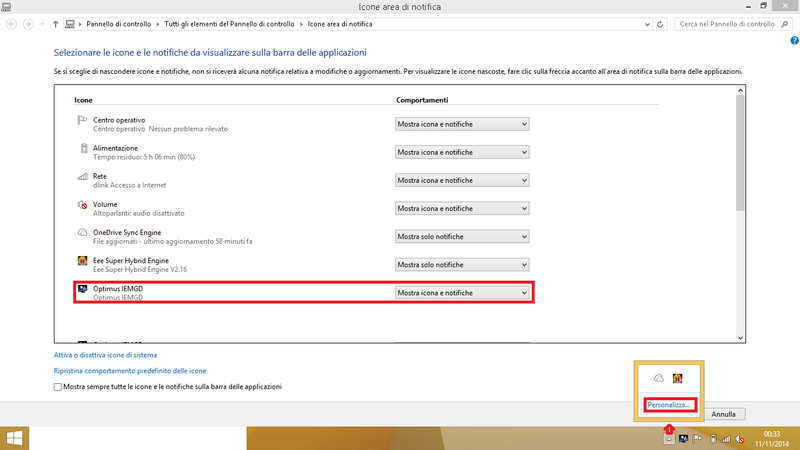 Dear Users, this is my last workaround for Windows 8\8.1\10; it also work on Windows 7 without any big problem . The Optimus IEMGD was develop to fix some bug of IEMGD on Windows >7 releases and get the maximum performance in newer OSs. 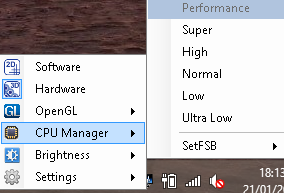 In Windows 7 mainly can be usefull to change brightness, overclock your device via SetFsb, Change CPU Multipler (better performance), use upgraded Opengl but software rendered, change Avalon Settings, ect. 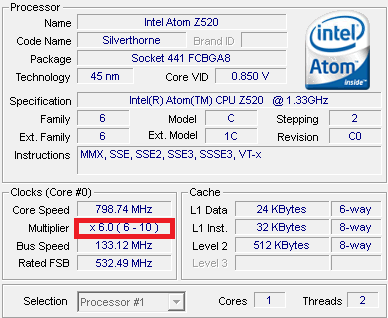 As many of you know, IEMGD and Windows newer releases are not so compatible and sometime overall performance are low. How we can try to resolve these problems, maintaining the "720p" support in video players? The solution is real simple.I took it from NVIDIA Optimus project (i know it's not the same thing but the aim it's similar). This driver is called "Microsoft Basic Display Driver"
-No OpenGL Hardware accelerated...only software! *Note: verify that your video bios has your display resolution. 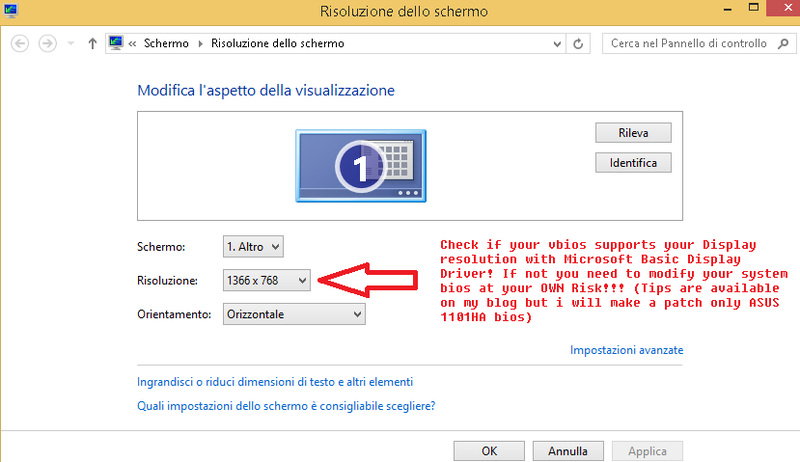 (Asus 1101HA doesn't have 1366x768 and need fixed bios: look here). Soon Patched Bios for Asus 1201HA! I can patch only Asus Bios because vbios is the same, for all other devices read the link to know how to patch the vbios. -Added SetFsb Utility: IF YOU WANT TO USE THIS FUNCTION Have to buy SetFSB from official website! This is an extra feature and wasn't never tested under win8. In the submenu are available 4 voices: Super-High- Normal -Low. Each profile have to be setted, by generating a bat file in c:\program files\optimus iemgd, with correct SetFSB values as reported in official setfsb website! -Fixed some bugs: Intel tool restart function, Opengl random copy error. 1)Brightness control doesn't work with software rendering: Determinated, when video driver is disabled, the monitor.sys is turned off too by the system and it isn't restorable. 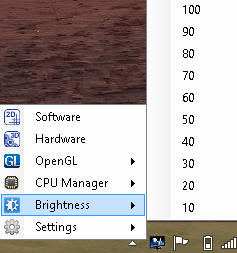 The only way to change brightness is to renable hardware rendering, change brightness and then select software rendering. Opinions? Questions? Write down here! Hi! I have an acer AO751h currently on windows 10 TP and I suppose you can imagine how it goes, so give a little help what do I download What do I pay and generally what do I do to get this old donkey dancing :p :p Just kidding... I appreciate ur work very much! Hi, actually Win10 TP isn't so stable with gma500 driver. The main problem is the new OS's kernel. If you are testing it just: start\run digit services.msc look fo DIAGNOSTIC TRACKING SERVICE and first turn it off then from its properties disable autorun. Then read Optimize Windows SpeedUP post. with this program can i solve this? 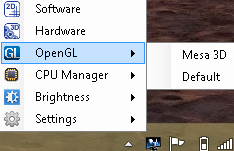 Optimus iemgd is used in win8/10 to switch from iemgd to stock win driver when video driver is slow on 2d rendering. 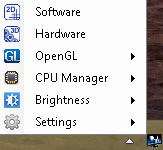 It also enable mesa 3d software opengl for basic tasks because gma500 hardware opengl isn't supported in newer os. Actually no, i have few time to program it. Anyway an update will be done because i'm testing fixes also in my new laptop with intel HD500 not gma 500.
is it possible for us to still purchase and get the last stable version for use until 1.2.2 comes? I removed it because it's not serious to sell an utily without upgrades and in release candidate version. The other buyers supported gma500booster website and for this I released the latest iemgd package and updated some file/post. I can still sell it but it's not complete and i don't know when version 1.2.2 will be available. Is there anyway to get that "freeware" version? Really wanted to test. Or I can donate instead of priceless one. Which one I should do?